The Bob Edwards on Sirius XM Radio recently explored the high costs of the death penalty and the views of the country's police chiefs as discussed in DPIC's latest report, "Smart on Crime: Reconsidering the Death Penalty in a Time of Economic Crisis." 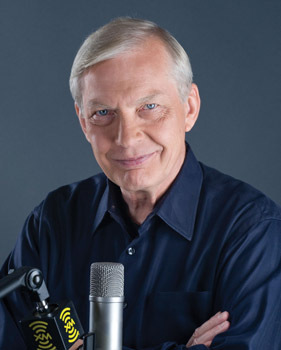 Edwards is the former host of National Public Radio's "Morning Edition." He interviewed DPIC's Executive Director Richard Dieter on October 20. An excerpt of the conversation focusing on the national poll of police chiefs and their opinions about the failure of the death penalty as a crime fighting tool is available here. (The full interview is available from the Bob Edwards Show, Oct. 20, 2009). See Costs and Multimedia. On September 9, The Bob Edwards Show on Sirius XM Radio interviewed Stephen Bright and Nina Morrison regarding the case of Troy Anthony Davis. Edwards is the award-winning former host of National Public Radio's "Morning Edition." The show offered this introduction: "Last month, the U.S. Supreme Court did something it hadn’t done in 50 years – it ordered a stay of execution and court hearing for an inmate to attempt to prove his innocence. Since 1991, Troy Davis has been on death row in Georgia, convicted of shooting an off-duty cop. Even though seven of the nine eyewitnesses who testified against him have come forward to say they either were mistaken or deliberately lied, no court has let them testify with this information. Nina Morrison of the Innocence Project joins Stephen Bright of the Southern Center for Human Rights to talk about the case and what it portends for other wrongful convictions throughout the country." Dr. Allen Ault was the warden at the maximum security prison in Georgia where executions were carried out. He also served as Commissioner of Corrections during a lifetime career in the field. He is currently the Dean of the College of Justice & Safety at Eastern Kentucky University. In the video accompanying this note, Dean Ault discusses the tremendous drain that carrying out executions had, and continues to have, on his life. He added, "I know I'm not the only one who has administered executions that felt the way I do. They all have shed a lot of tears." He questions the value of the death penalty, and recognizes the difficulty that many politicians have in challenging this punishment, despite its obvious flaws. With respect to deterrence, he said, "I have a hard time believing that using pre-meditated murder and violence (executions), is a way to model behavior that would deter somebody else from doing it." The video was made at the end of a six-week course on the death penalty at EKU and contains answers to questions that the students raised. To view the video (21 minutes), click here. In 1984, Juan Melendez was sent to Florida's death row for the murder of Delbert Baker even though no physical evidence linked him to the crime. In 2002, he was released with all charges vacated after it was found that prosecutors had withheld critical evidence in the case. He became the 99th person exonerated in the United States since 1976, and the 20th from Florida. As of today, 135 people have been exonerated. Juan Melendez - 6446 is a documentary released as part of the HBO-sponsored 10th Annual New York International Latino Film Festival. Director Luis Rosario Albert tells Melendez' story through his own words and the words of his family, friends and lawyers - the story of a migrant Puerto Rican farm worker sent to death row for a crime he didn't commit. It also brings into play legal issues between the United States and Puerto Rico in application of the death penalty. More information, including the film's trailer, can be found here. The film will be screened on July 31st at 2 pm at the Clearview Cinemas Chelsea, Screen 8, W 23rd St. & 8th Ave. in New York City. If you would like to listen to a brief but informative discussion of key death penalty issues, try DPIC’s newest resource--Podcasts. The most recent episode of this educational series explores the issue of the Costs of the death penalty. You can also choose to listen to previous episodes to learn more about the issues of Arbitrariness and Clemency. Podcasts may be downloaded for listening later on a digital music player. More issues will be covered in the near future. To subscribe to the Podcast through iTunes and automatically receive future episodes, click here. To see other multimedia resources from DPIC, go to our Multimedia page. See also DPIC's pages on Arbritrariness, Clemency, and Costs. Georgia death row inmate Troy Davis was scheduled to be executed numerous times in 2008, but each date was stayed. His case is currently under review by the U.S. Court of Appeals for the 11th Circuit. International interest has continued to mount because of concerns about his possible innocence. Most recently, Amnesty International has assisted in preparing a multimedia presentation about his case with the music group "State Radio." The video may be viewed here. Davis’ case has garnered support from many quarters, including former President Jimmy Carter and the European Union. Davis' original conviction was based primarily on eyewitness testimony. Since the 1991 trial, 7 of the 9 non-police eyewitnesses have recanted their testimony, with some pointing to another suspect.